After an initial meeting to review storyboards, I never saw the director (name withheld) again. Evidently, he was missing-in-action due to personal problems. That situation actually turned out to be a positive one for me because, due to his absence, I was able to take full creative control of the project. The production took place at the Chandler Group stages in Marina Del Rey, where a backlit, translucent white, 8' x 4' table was set up for the animation. While I planned the action and timing of the animation, cameraman John Higbie prepared the motion-control camera which looked straight down at the table from above. I had to unwrap untold cases of Life Savers rolls and cut out sequential photographs of children who would subsequently interact with the candy. The entire commercial had to be carefully choreographed and timed to fit precisely within 30 seconds. Although it appeared to have been filmed in one continuous take, it was actually divided into six separate shots that maintained the illusion of one. 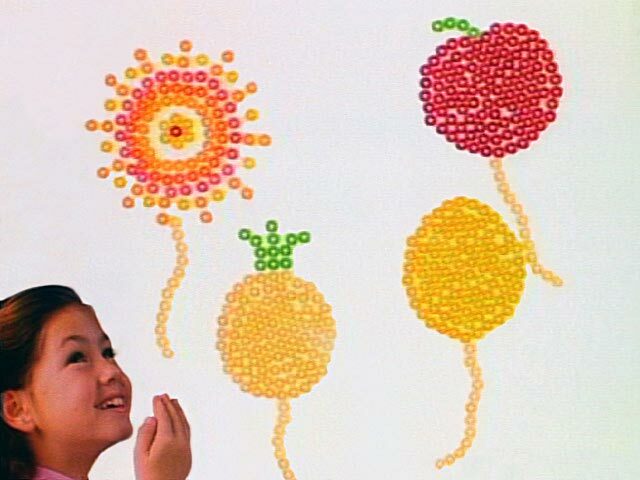 The candy was animated simultaneously with pixilated photo cutouts of children, giving the impression that all were together in the same world. Forgetting to move any of the pieces would have ruined the shot. To help prevent that from happening, John set up a video "tap", which saw through the viewfinder of the film camera. I was then able to observe the video image on a television monitor. Using a grease pencil on the TV screen, I marked the position of each piece before animating it. That technique helped me to track the movement of all pieces and ensure that none were inadvertently missed. The end of the commercial required that a Life Saver shrink down as though it had been licked. I accomplished that illusion by using a q-tip dipped in water to gradually dissolve the candy. The finished product conveyed high-energy with an almost psychedelic look, and it turned out to be an innovation for commercial imagery. I was extremely pleased with the result. Moving Lifesavers commercial ©1989 R.J.R Nabisco, Planter, Lifesaver Co.